Lucy Falcone, dressed up to go to a dance. My granddaughter Lucy was born in June 2003, not so long ago, but it was before Facebook, before World Down Syndrome Day, before companies hired models with Down syndrome, before the TV show “Born This Way,” before Google was a verb making it easy for people to network and learn. My daughter had only a 12-year-old cousin with her when she heard these words. Her father and I were in the cafeteria getting coffee. Her husband had gone to pick up his parents. Often in life we are asked, if you could change just one thing what would it be? It would be this single moment. This Trisomy 21 diagnosis — Down syndrome, in lay terms (my daughter knew the meaning because of a high school science class) — was followed not by smiles and “Congratulations! You just had a baby” joy, but by downcast eyes and pity and a long list of all the things Lucy might never do. Lucy might never talk, this doctor told us. She might never walk. She might never read or learn. She might be deaf. She might be blind. She might get leukemia. The mights put us over the edge. We held each other and cried. I wish Dr. Brian Skotko had been with us when Lucy was born. He’s an associate professor of pediatrics at Harvard Medical School and co-director of the Down Syndrome Program at Massachusetts General Hospital. But he was still in medical school then. Dr. Skotko’s sister has Down syndrome. He has been learning and talking to people with Down syndrome and working with them and sharing what he’s learned his entire life. He conducts studies. He gives seminars. He travels the world teaching. He writes books. He sees patients. But he’s not just smart. He’s kind. In 2003, when Lucy was born, if he’d been a doctor, I believe he would have walked into that little hospital room with a smile in his eyes, welcomed Lucy to the world, congratulated my daughter, and waited for her husband to arrive before sharing with them the truth about Down syndrome. And the moment that changed our lives would be a different moment, a moment of comfort that we could look back at, not a moment still full of despair. The truth about Down syndrome isn’t all good, of course. But it isn’t all bad, either. That’s what Dr. Skotko has learned and that’s what he teaches, that Down syndrome is like everything in life, both good and bad. It’s the preconceptions that are bad, he says, that make people fear. We had preconceptions: People will laugh at her. She won’t have friends. She’ll never work. She won’t be happy. We’ll be ashamed. Dr. Skotko is changing these preconceptions. In his most recent study of 2,600 families in the United States and the Netherlands, he and his Dutch counterpart asked parents to rank their child’s functional abilities in 11 areas: walking, eating, speaking, grooming/personal hygiene, reading, writing, preparing meals, working at a job, going on dates, traveling independently, and living independently. What the study showed, among other things, is that most people with Down syndrome could walk by 25 months, speak to be understood by 12, take care of their personal hygiene by 13, and work independently by 20. 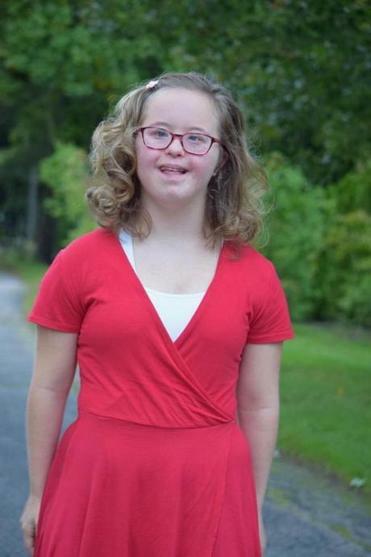 In previous studies, Dr. Skotko found that 97 percent of people with Down syndrome said they like who they are; 96 percent said they like how they look; 85 percent said they like to help others; 99 percent said they are happy with their lives; and 99 percent said they loved their families. You have a child who will be happy with her life. You have a child who will like to help others. You have a child who will never look in the mirror and say, “I hate myself, I hate my life,” even if that life doesn’t measure up to what you think a life should be. You have a child who will love you. I wish someone had said these words to us. Our preconceptions were so wrong. And our fears were based on these preconceptions. No one laughs at Lucy. People like her. She’s part of our community. She has friends. And we are so proud, not just of everything she accomplishes, but of everything she is. Dr. Skotko says that “successes are greater and lives richer today” for people with Down syndrome, because we, as a society, believe in them. They go to school. They learn. They get good medical care. They’re active and involved. So many people love Lucy. I’m only one. I believe that Lucy transforms hearts. What I know for sure is that she fills mine.